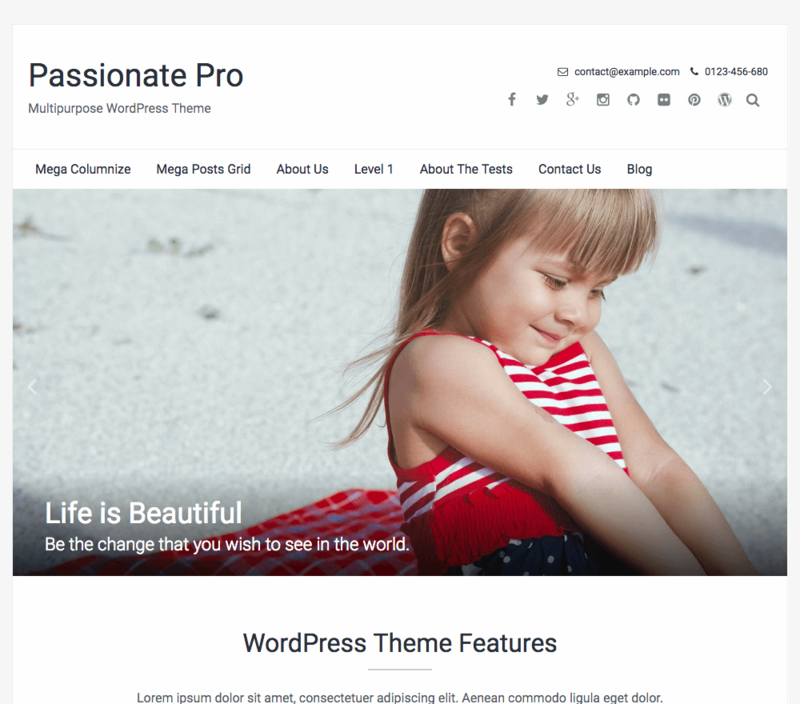 Passionate is a professional multipurpose WordPress theme can be used for Business, Portfolio, Personal, Blogging, Agency or any other types of site. This widget helps you to show the contact information and phone number on header top right. This widget allows you to showcase your staff/employees/people on your website. You can quickly add their picture, description, social links & re-order them at anytime. This widget helps you to show some plans with different prices. With footer editor option you can change the footer copyright information with your custom footer info. 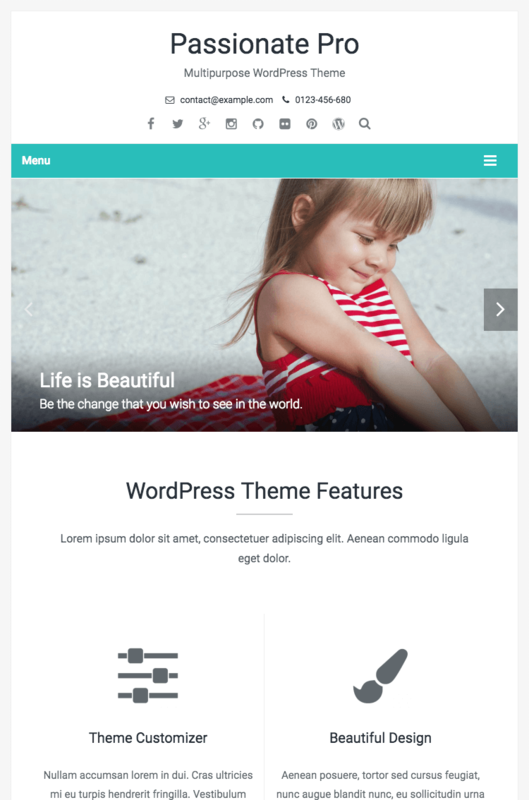 Easily change it from theme customise section. Did you know there is a FREE version of Passionate Pro?